At the foothills of the Vindhya mountains, 45 Kms northeast of Bhopal, lie massive sandstone formations amidst dense forests that reveal one of the most condensed concentrations of rock art known to us. These paintings date back to the Middle Stone Age (10,000 years ago), showing continued evidences all the way to the historic period. So the paintings have not only witnessed cultural evolution but also chronicled the history of mankind! Having been discovered serendipitously in 1957, they were untouched by anything other than the forces of nature, being one of the most authentic representation of antiquity. I was looking forward to visit each one of the 15 rock shelters that I learnt were open to public, out of the 243 caves in Bhimbetka. The vicinity has a total of 700 rock shelters spread across a huge area. It was fascinating to know that the age of the paintings apparently corresponded to the evolving content, starting from- large line drawings of animals like rhinoceros and bears belonging to Old Stone Age, smaller paintings of animals and human activities from the Middle Stone Age, drawings related to agriculture from the Early Bronze Age and finally, embellished paintings including religious motifs from the early historic times. One can only imagine how life would’ve been thousands of years ago standing in that hoary realm, and wonder what ran through the minds of these people who lived there in those times. Colours for these paintings were prepared by combining hematite, manganese, soft red stone and wooden charcoal, where one would notice that red and white were the predominant colours used with occasional green and yellow. Paintings depict hunting, horse and elephant riders, dancing, and several animals like bison, tiger, wild boar, monkeys, lizards, peacocks and so on. Just when I thought that the ancientness of these paintings is unthinkable, I found out that there were also artefacts here, that were found to date back to the lower Palaeolithic era or in other words, more than 200,000 years old! In contrast to the imaginary barriers we’ve created amongst ourselves today under the pretext of race, religion, nationality, and so on, it is interesting to note how these paintings are strikingly similar to the cave paintings found in Australia (Kakadu National Park), Kalahari Desert (cave paintings of Bushmen), and France (Lascaux cave paintings)! It makes one wonder, how far we’ve come from being hunter gatherers, to the modern beings we now are, with highly complex behaviours. There’s nothing like getting a glimpse into our ancient past, not only because it is astounding to, but also because we simply can! Once you are in Bhopal, the most convenient way to get here is by hiring a cab. It will take at least 2-2.5 hours to walk around the place leisurely. I found this online brochure helpful. Glad you liked it. Yes, it is, I believe all these places have a lot to teach us. I have heard about this place many times but I have never explored MP for a variety of reasons. Just to update you, a similar site has been discovered during last few years near Bundi, Rajasthan. This is popularly known as Bhimlat. The entire region has many such caves only a few have been discovered till now. 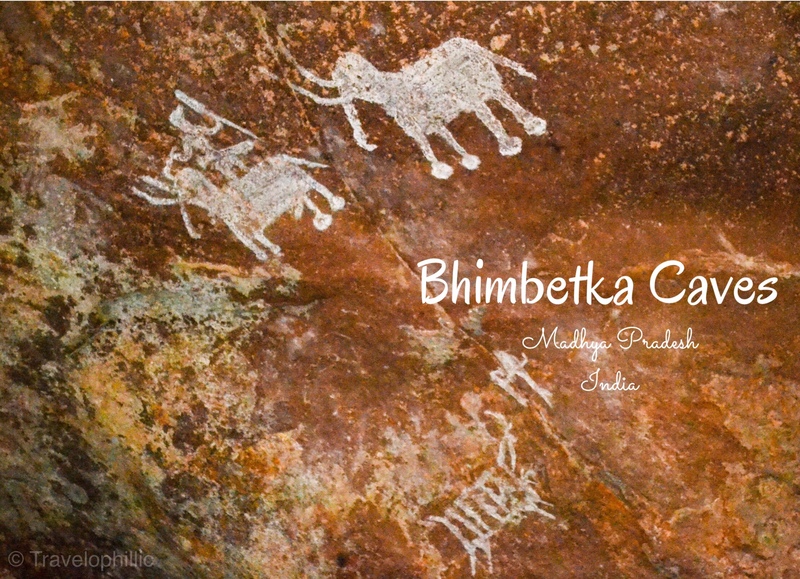 Thanks for sharing pictures of Bhimbetka, this is the first time I have read any blog on Bhimbetka. Interesting. I love caves and would be lovely to visit this place in the future. Lovely post and great pictures. Looks very interesting.